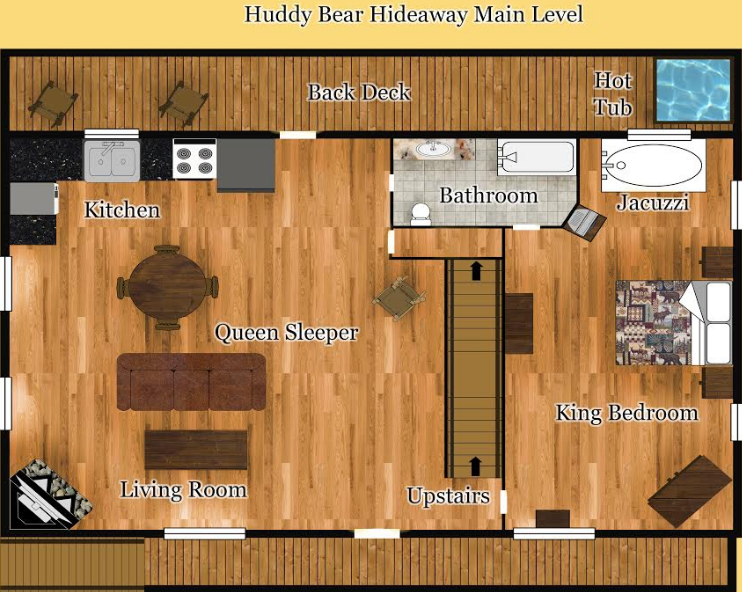 Enjoy this one bedroom one bathroom cabin, Huddy Bear Hideaway! 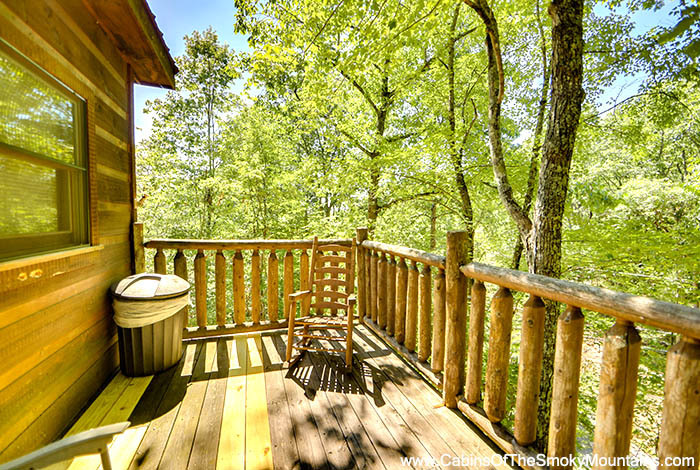 With Lush wooded views, you can't go wrong with this one. 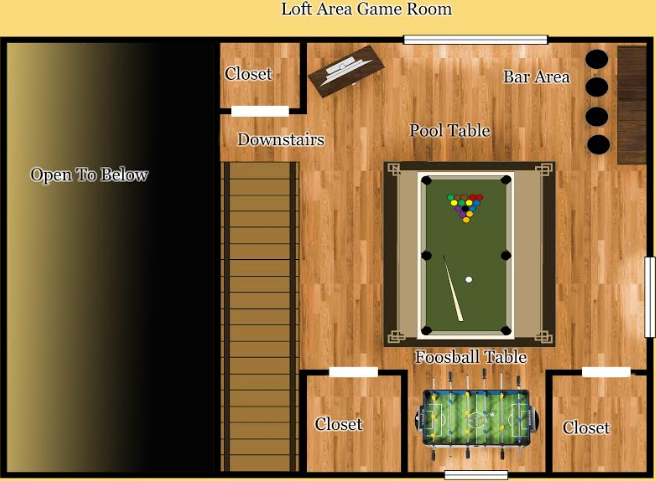 Still in a resort setting, but yet is still private for people who want to get away from it all! 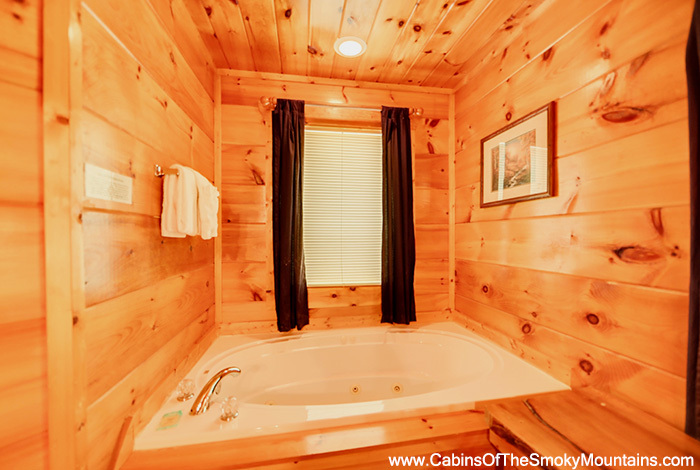 Relax in your jacuzzi tub and let all of your worries melt away! 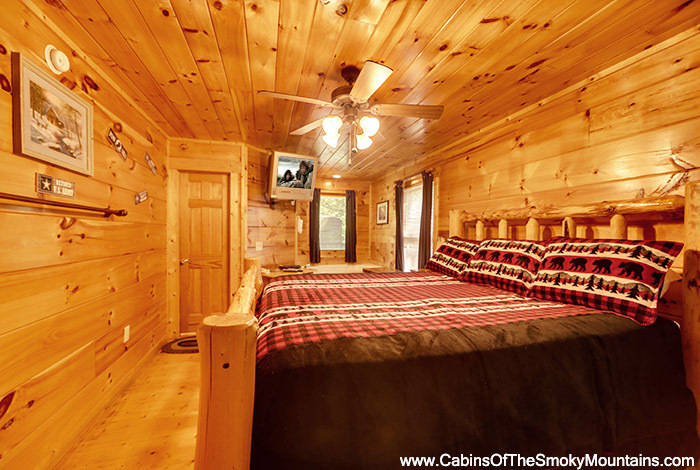 You will not have to worry about anything with choosing this cabin. 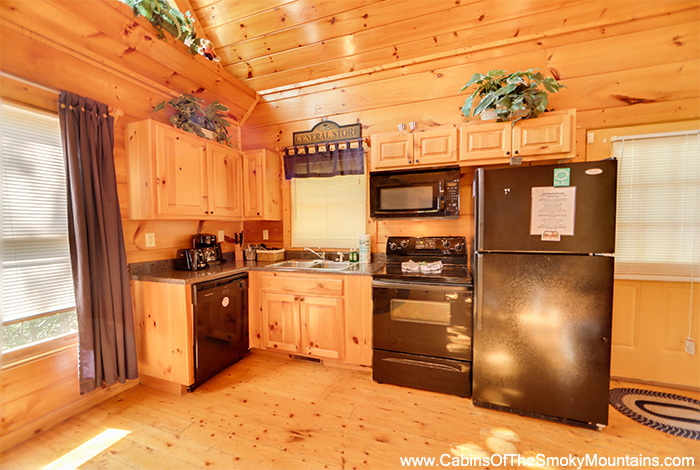 It comes with a fully equipped kitchen, so no need to go to town if you do not want to. 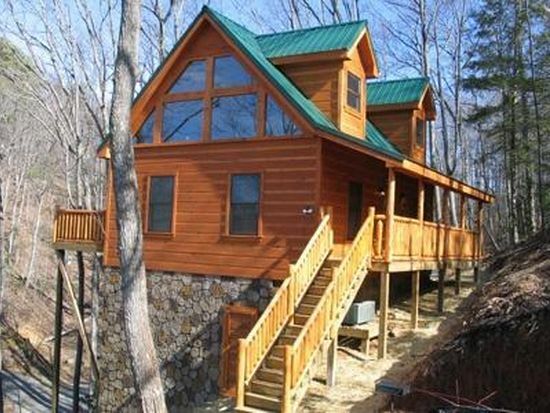 Located 10 minutes away from downtown Pigeon Forge, so you will not be too far away from it all! 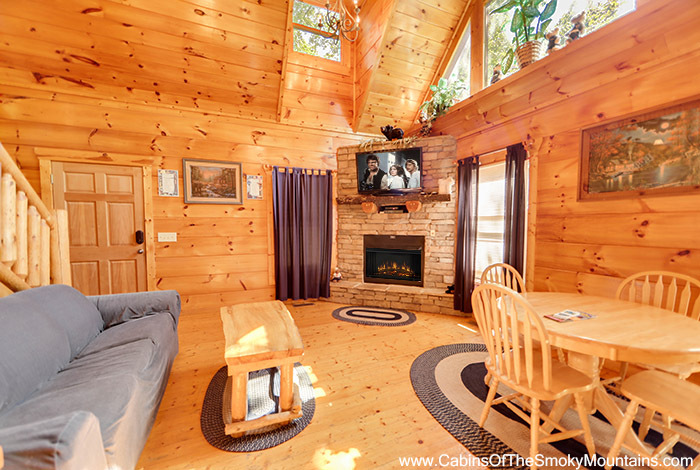 Grill outside and enjoy your meal in front of the fireplace! 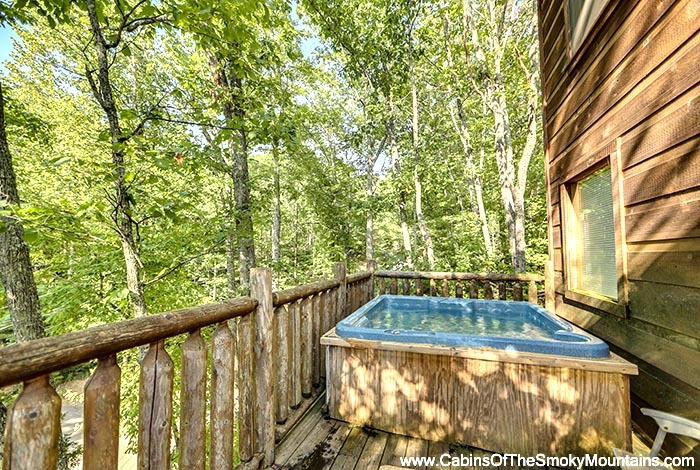 Spend a hot summer day near the pool with great mountain views! 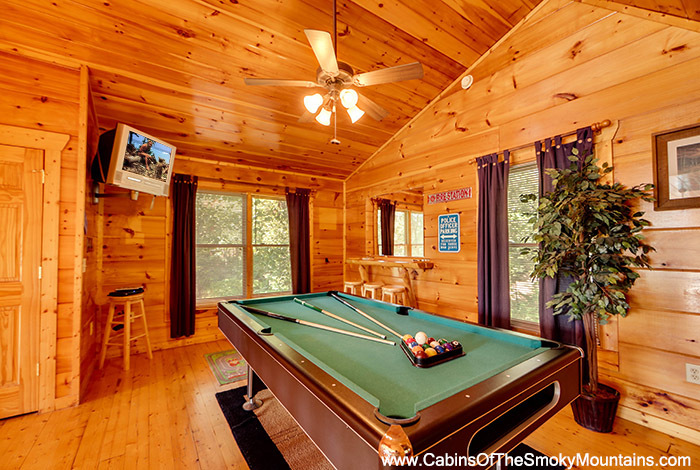 Start sharing your memories as soon as you get there with the wifi that comes with the cabin! Don't miss out on this getaway!